It’s now November. American Thanksgiving is just around the corner and soon it will be Christmas. The stores I walk by have made it clear that we should all be in the holiday spirit – actually, they made this clear the day after Halloween. But before we get too caught up in the joy of Christmas I thought I would focus on something that is just as important. 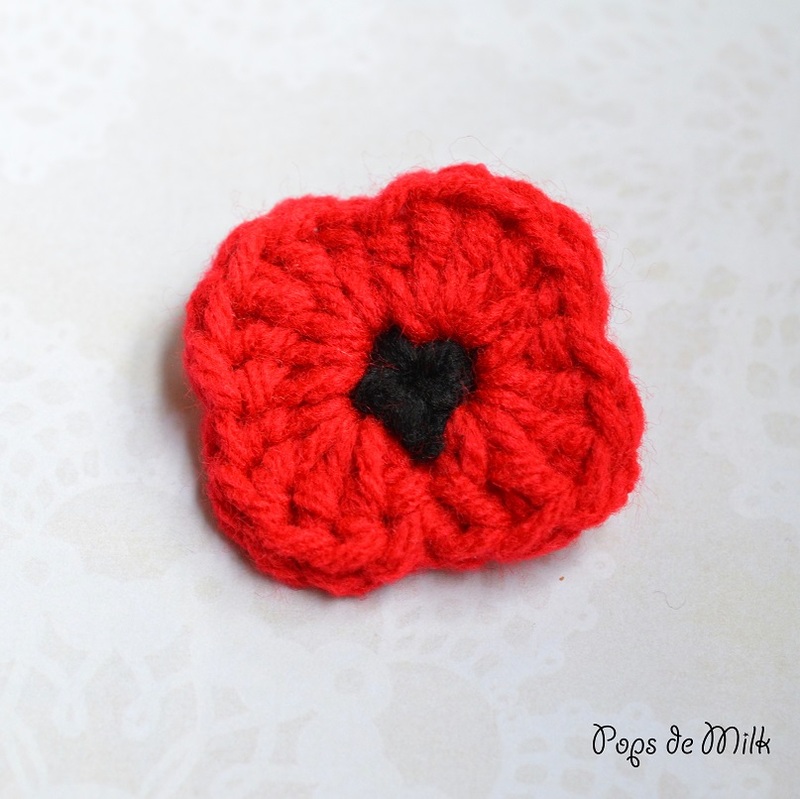 Remembrance Day – a day to recognise and honour those who fought for our freedoms. As I said, I’ve noticed many shops with Christmas displays but only a few handful of people giving out poppies. Grade school history class introduced me to the famous poem In Flanders Fields and the poppy as a symbol of the blood shed in war. 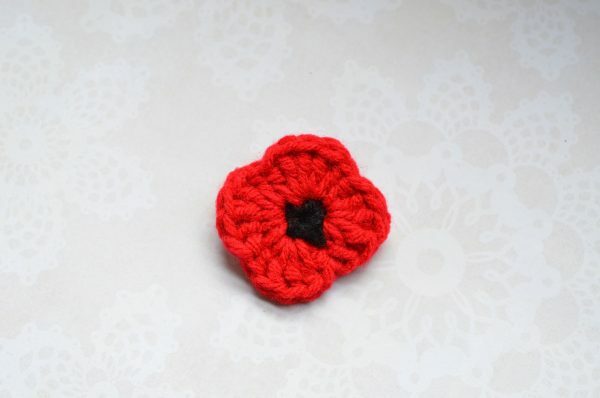 But it seems as though each year I see less and less poppies pinned to coats and jackets, which is why I decided to crochet a poppy and share it with everyone so that we can continue to remember. 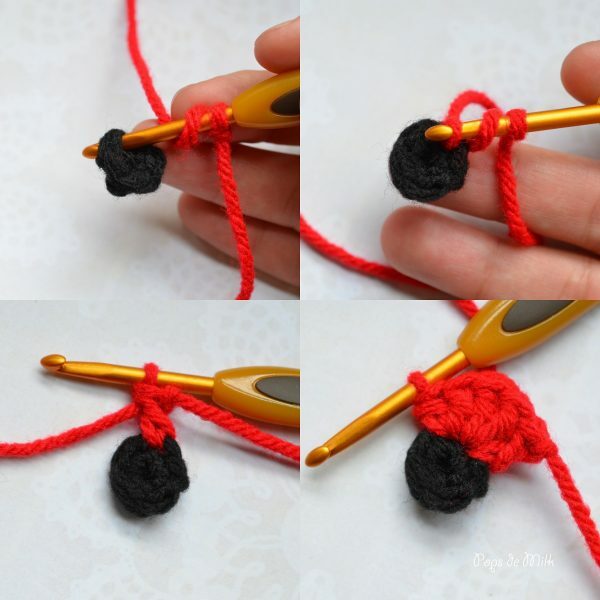 Special stitch: double crochet standing stitch – make a slip knot, yarn over, insert hook into any stitch, pull up a loop, yarn over, pull through two loops, yarn over, pull through all loops. Pattern is worked in rounds, do not turn at the end of the round. Round 1: Starting with black yarn, Ch 2 and make 4 sc in 2nd ch from hook, sl st to first sc. Fasten off and weave ends. If there is a gap between the first and last st you can sew that together. 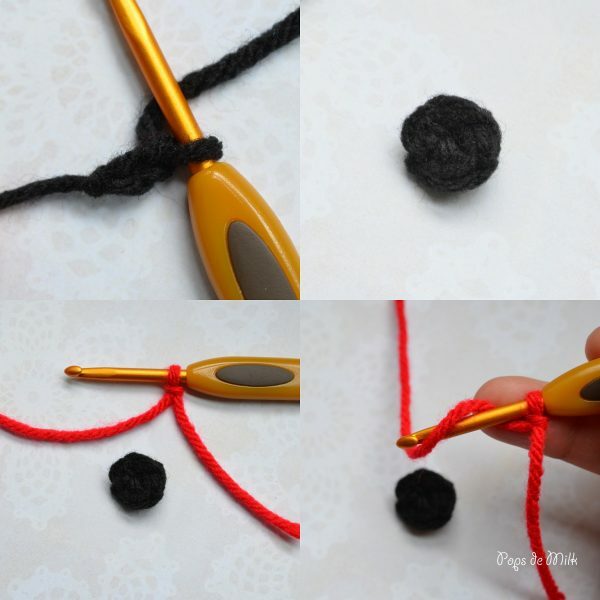 Use needle and thread to sew brooch pin to back and you’re done! 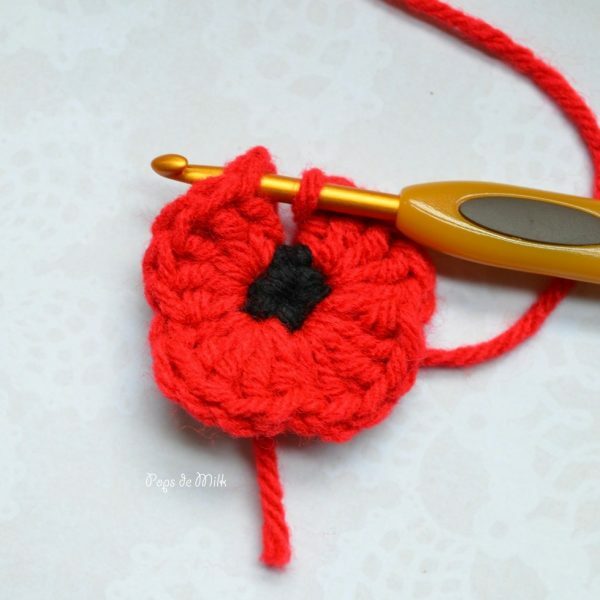 These poppies are so easy and quick to make you can crochet a bunch and give them out to your friends and family to wear for the month of November. 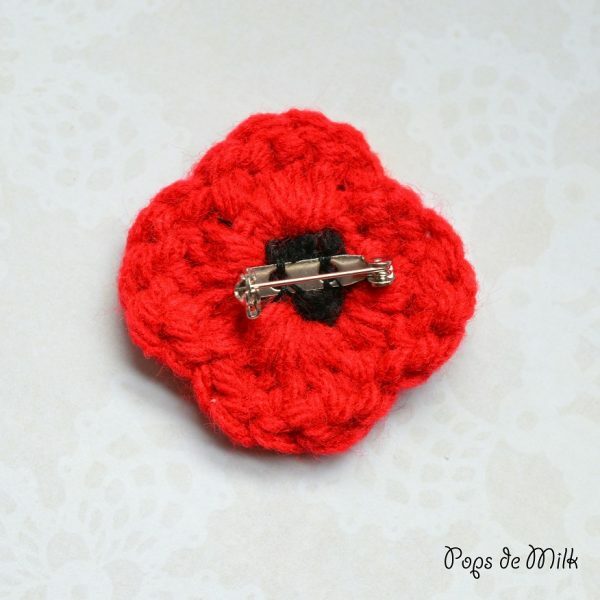 Great post – the poppy pattern is lovely!